← Why do we anthropomorphize our pets? 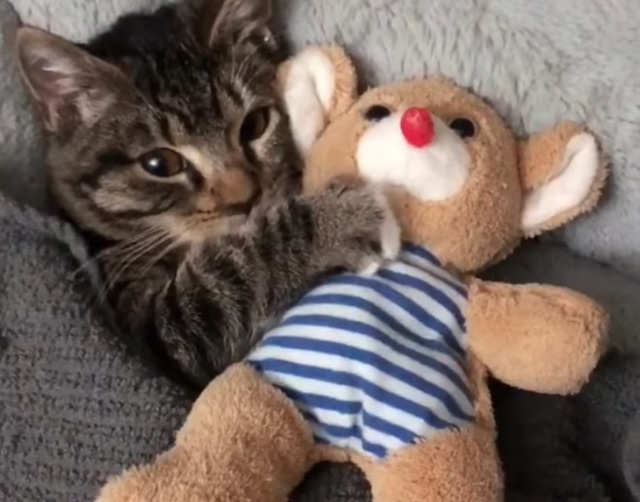 Young cat cuddles plush toy in bed. Screenshot. This is anthropomorphising the domestic cat. It’s cute but…. This entry was posted in anthropomorphising the cat and tagged anthropomorphising the cat by Michael Broad. Bookmark the permalink. Anthropomorphising cats and dogs is not a new phenomenon. We’ve done this for hundred if not thousands of years. And I disagree with the perspective because most animals like to play and cuddle once they no longer have to worry about safety and food. You only need to observe sanctuary animals or ask those that care for ferals and semi-ferals.